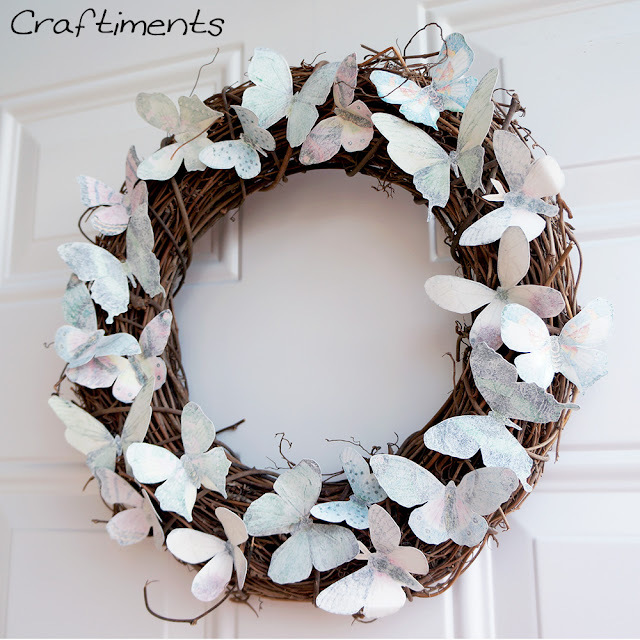 So I was feeling a bit springy this week, and this cute and clever butterfly wreath posted by Craftiments, really caught my eye. So I'm letting it lead the way in my Frugal Round-up this week. 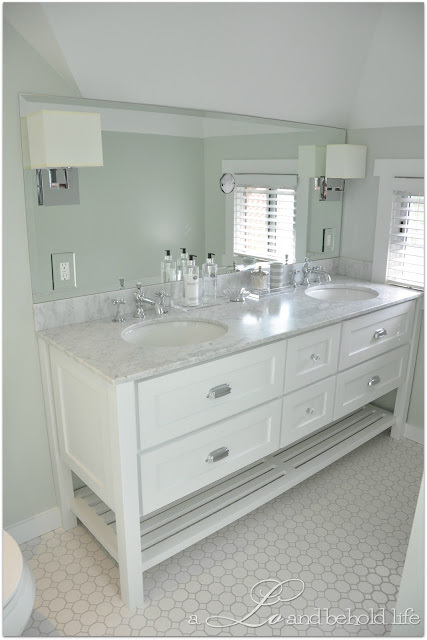 Next up is this beautiful bathroom renovation by A LO and Behold Life. So restful and pretty. A true retreat! 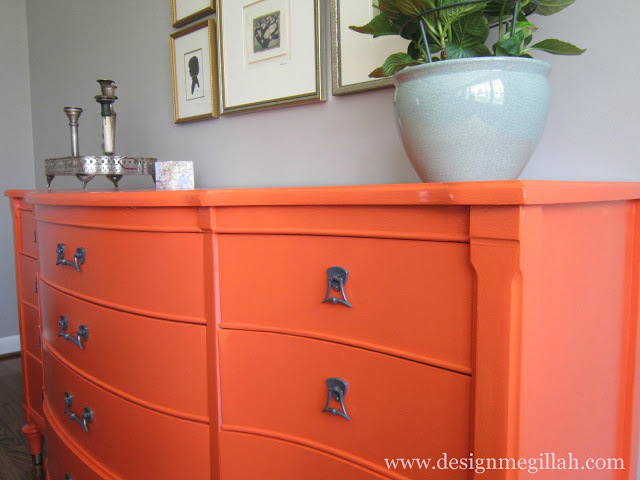 And finally, I LLLLOOOOVE this spring-y orange buffet redo shared by Design Megillah. It just shouts "spring" with it's citrus-y color! Thanks for the party, Wendy! Happy Easter!! Thanks so much for hosting! Have a wonderful Easter weekend! Thanks for hosting the party! The features are beautiful! Thanks so much for the wonderful party Wendy! Thanks for hosting. I am new to blogging and just love it. What a wonderful community. Happy Easter! Thanks for hosting!! Happy Easter! Thanks for the wonderful party, Wendy! I hope you have a great Easter weekend! Thanks so much for hosting! Have a beautiful Easter celebration! Wendy, Thanks so much for hosting on this Good Friday! Have a blessed and Happy Easter! Thank you so much for hosting. Have a very Happy and Blessed Easter! Thanks so much for hosting this week! Happy Easter! Hi! I'm new to your site, via A Night Owl and I'm excited to look around. Thanks for hosting :) Would love for you to stop by site, thecityofmotherlylove.com, when you have a chance! Am going to follow you on Pinterest, too!